Motorists on westbound Interstate 10 near Ina Road should expect overnight lane closures and lane shifts the night of Saturday, Dec. 8. Crews will shift all westbound traffic to the newly-paved lanes between 8 p.m. and 5 a.m. the following morning. During those hours, westbound I-10 will be reduced to a single lane while crews move temporary barriers and place new striping. In addition, the ramp from Orange Grove Road to westbound I-10 will close from 8 p.m. to 3 a.m. to help facilitate the traffic shift. 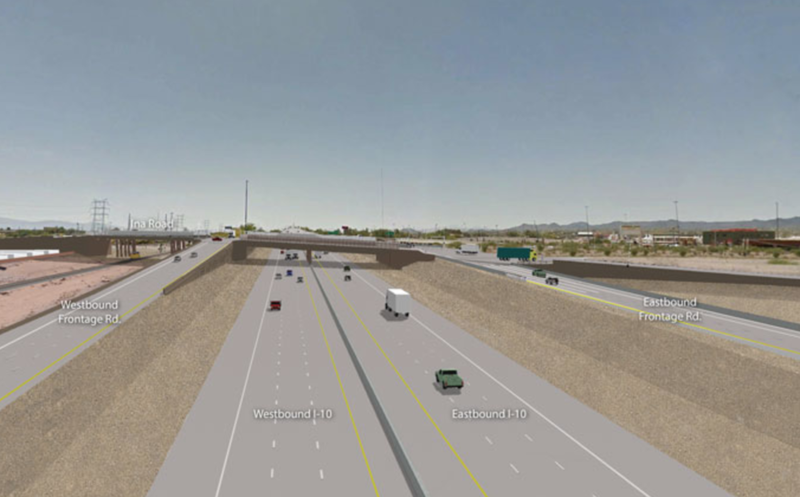 Drivers should enter westbound I-10 using Sunset or Cortaro roads during the overnight hours. All ramps between I-10 and Ina Road will remain closed following the traffic shift. The current schedule shows the I-10/Ina Road interchange beginning to open in March, with the entire project wrapping up in June.